NOTE: I WILL NOT BE MONITORING THIS MOD! I JUST POSTED IT FOR WHOEVER WANTS IT! 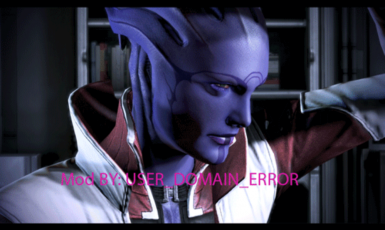 These Mods allow you to play the game as Tali, Jack, Miranda, Aria, or Kasumi. I haven’t updated these mods past ME3Explorer 0107k. Sorry the pictures are so bad, I had to screenshot my gifs to get images. Please feel free to upload screenshots you take! I would love to see them! 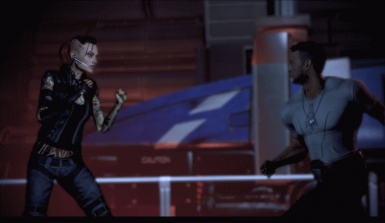 Each Mod comes with Everyone's main outfit and If I am not mistaken, another one in locker which some may need to be unlocked using Wench Coalesced Editor (Tali will need Gibbed as well) links are in instructions. Very detailed instructions are located inside the .zip files please follow them! Make a back up of your files!